A special blend of citrus and tropical fruit hops. 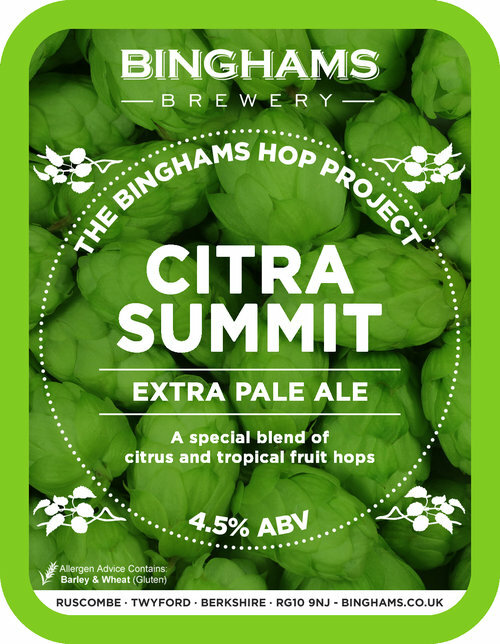 Part of the Binghams Hop Project. Couldn’t see any BS about this beer but it is great. First tasted at the Reading Beer Festival but it ran out before I could get a pint! No such problem at The Harper Arms.